When you are looking for a good SEO company to take care of all of your SEO needs, there is a right way and a wrong way to go through the selection and hiring process. There are plenty of advantages from hiring someone to take care of your SEO, starting with the fact that it frees up your time from having to work on the content yourself. The benefits of hiring a Los Angeles SEO company far outweigh any of the cost savings that you may have when you try to tackle something like this on your own. SEO is something that has become crucial for websites of all kinds, regardless of the type of business. It used to be that only the companies with the highest competition would need SEO to make sure their websites are easily viewable. If your website is without SEO today, it could never get the exposure that you need to get even remotely close the high rankings. Even if you have some SEO basics in your arsenal, the professionals are going to know a lot of tricks that you will not. The success of your company should never be based on guesswork and experimentation. Having a lack of experience can end up damaging your website rather than helping it. Experienced companies who focus on SEO will have the tried and true methods of ensuring results for your website. They can come in to evaluate your website and talk with you about the goals that you wish to achieve. A Los Angeles area SEO company will also take a look at your competition so that they can put together an excellent plan for increasing your visibility when someone is searching with the major search engines. You will also have the bonus of their tracking so that they can be sure you are on the right path for results. Hiring a good SEO company will also free up a lot of your time so that you can focus on other things for your business. Instead of working on new content or trying to build links, you can spend the time focusing on your products, services, and employees. In addition to these things, you will also have more time to spend doing other things that you are passionate about rather than stressing out over your website’s SEO. 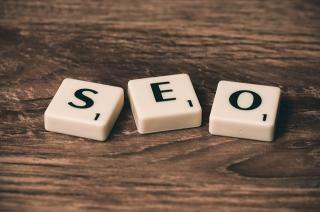 Picking out the right Los Angeles SEO company can be tricky if you have never worked with one before. At Net Success USA, we want you to do your research to hear what our current and past customers have to say about the results that we were able to get for them. If you are looking to boost your rankings and make sure that your website is seen by all of the right people, all you have to do is set up a time for a consultation so that we can get to know more about you and your SEO goals.